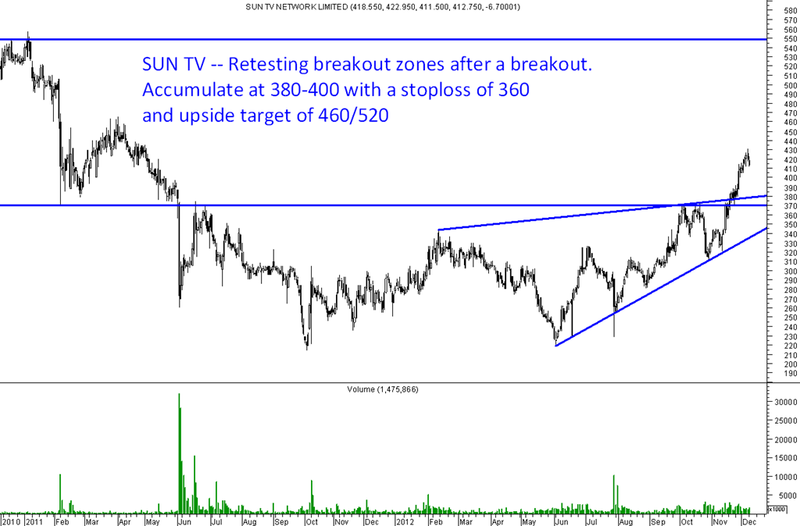 SUN TV -- Retesting breakout zones after a breakout. 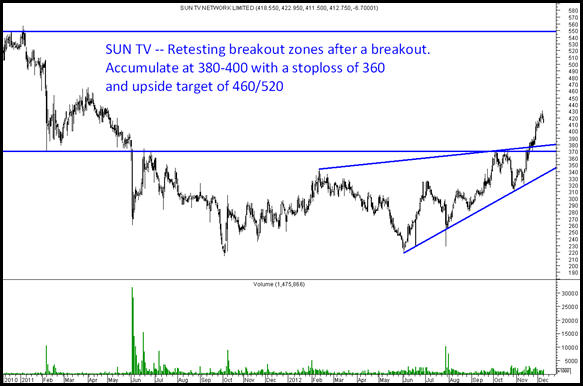 PTC India after breakout has come down to 72 levels. I am trying to understand if that was a flase breakout or can one buy at current levels and how long do you think it can reach 85 levels. your view on PTC India at current prices? Pls suggest. Your view on GTL infra. Its continuously falling.